I'm going to make an attempt to keep a log of as many battles as I can muster. Hopefully this will track my progress in learning to play 40k and my listbuilding process. Any advises, thoughts, comments or conversations are welcome! 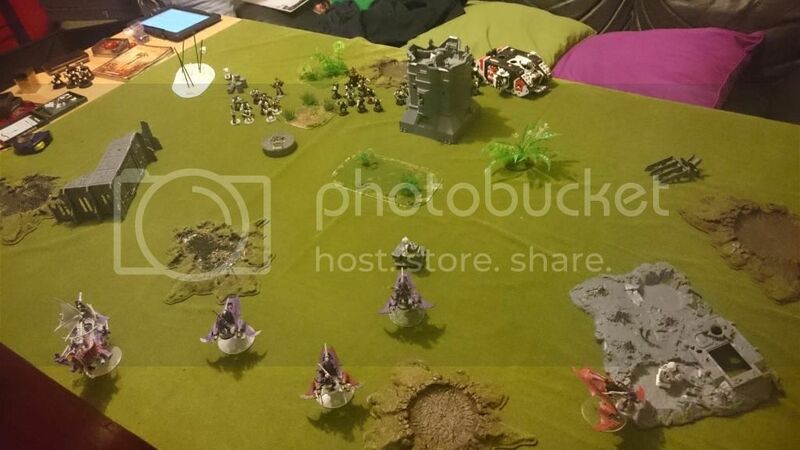 I have a game organised for tomorrow night, which will be against either Guard or Tau (unsure which). I will take a few photos throughout the game and share with you all. I would suggest you to drop agonizer and soultrap from the archın and give him wwp and attach it to the trueborn. With this setup he's become very confused in his role. Waiting for the batrep, good luvluck. He needs to have the agoniser simply because when he's with the Trueborn their raider becomes public enemy number 1, and I need a bit of dice roll security. 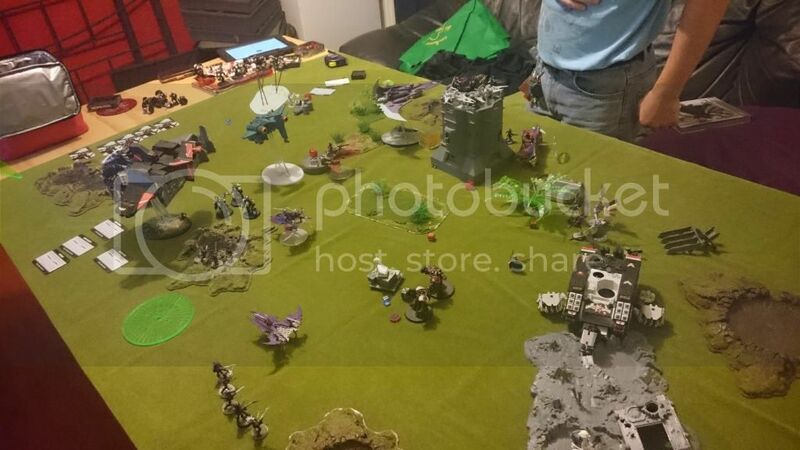 Archon update: blaster, armour of misery(for when I roll that inevitable 1), wwp, agoniser, hwg. Haemonculus update: liquifier gun and wwp. I got to use the liquifier gun for the very first time!!! It killed 3 dudes in carapace armour. We didn't even see the end of turn 4, so that was a little disappointing, but here's what happened up to that point. I chose to give up first turn and hid behind the building in the middle and dropped a venom on either side of the table. 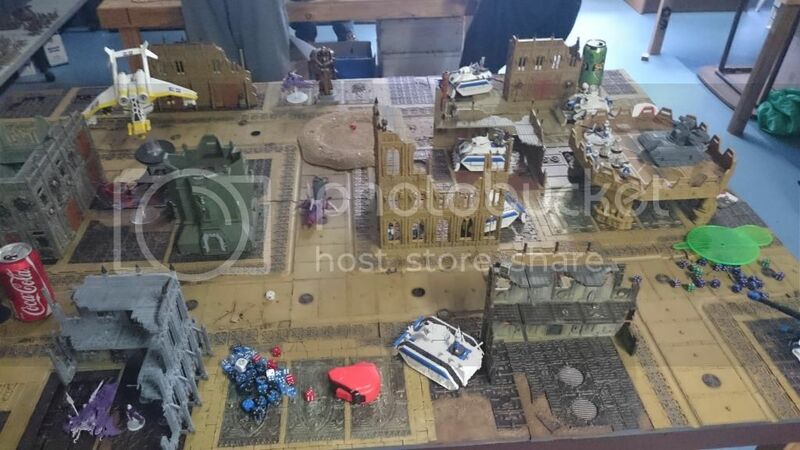 Militarum deployed wyvern and cannon team on the helipad, two big tanks on the ground either side and the transports in the front. The commisar was in the middle transport. A Multi laser came through and knocked the venom in the bottom building's grav generator out of action, spilling it's kabalite contents onto the city's floor. They were, however, untouched by an off-target wyvern barrage. One hull point was taken by the central venom and the other venoms jinked. They saw no reason to have full BS to fire poison darts at tanks. One venom dropped back to pick up the objective marker in the building at the back (hidden from picture). The hull pointed venom pushed forward in a last attempt to do something decent and fired at the weapons team on the helipad and score bagel. They counted themselves lucky the archon hadn't yet arrived to see. The crew of the ravager felt the same way as all three hits rolled 2's to pen. The kabalites in the southern building stumbled over their feet as they moved 2" into cover. 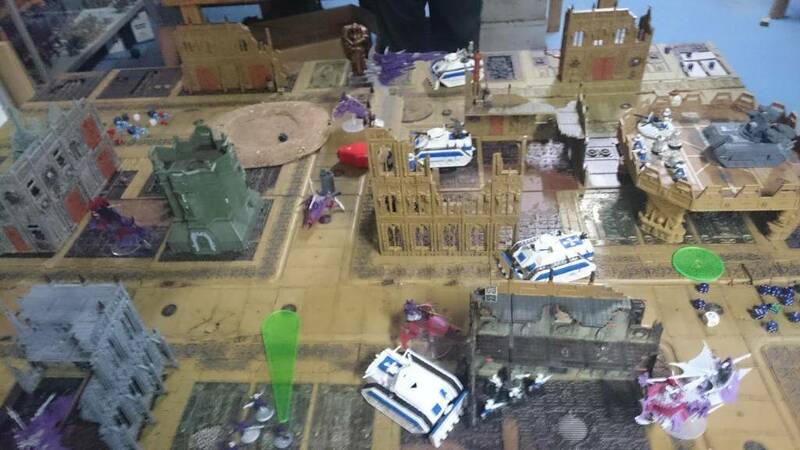 The transports moved up and the commisar ordered his unit out, into the ruined building while the flier (vendetta?) zoomed on from the side, trying to take out the ravager, whose crew were so determined to make up for last turn's abysmal shooting, managed to jink both pens. The central venom copped too much firepower from both the tanks and the flamer in the ruined building that it lost everything, turning into a smouldering wreck and a pile of sizzling flesh. The warlord and his Trueborn arrive, ordering all reserves into place immediately. 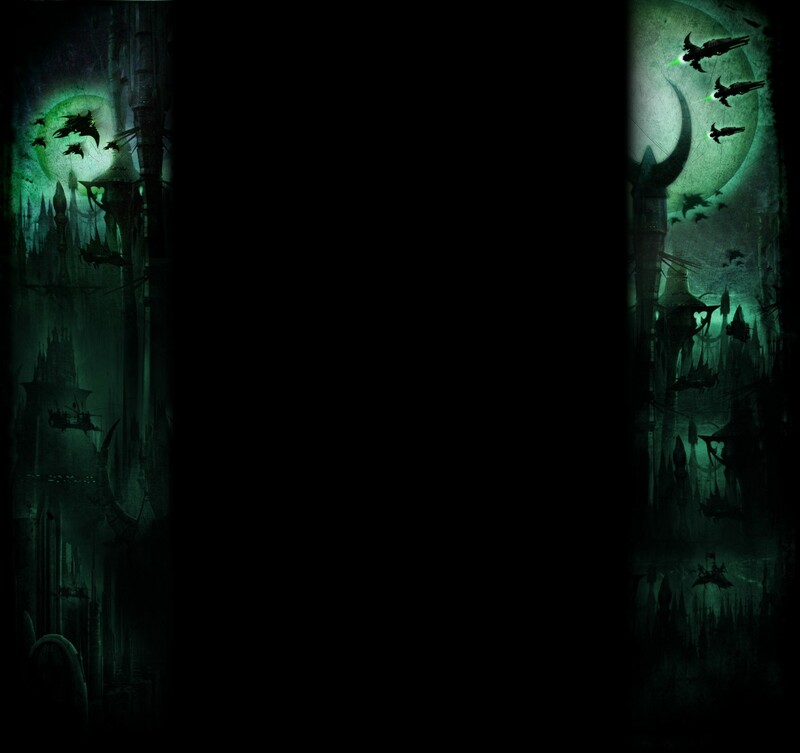 The archon dropped in through the webway portal, obscured behind a building, the Haemonculus lead his freshly mutated, heatlance wielding Scourges right beside the cannon tank in the bottom right. The haywire blaster scourges dropped in safe from dangerous terrain in the centre, and the razorwing zommed on from the edge with the vendetta in it's crosshair. The heat lances only hit the tank twice, and only glanced with both hits. They cowered from the archon's fiery gaze as he ordered his trueborn to waste their volley of high powered shots to finish the tank off. The disintegrator hit 3 times and rolled no 5's to pen the transport and the haywire blasters hit 4 times, but rolled two 1's to pen. There was definitely going to be some torture when the archon returned to commorragh that night. The razorwing did splendidly as it peeled two hull points from the vendetta and forced it off the board. Both units of scourges were wiped out. They deserved death, not even a torturous death, for their folly. The haemonculus survived the volley unscathed. Haemonculus moved toward the guard unit in the bottom building and sent a liquifier flame at them, killing 3. 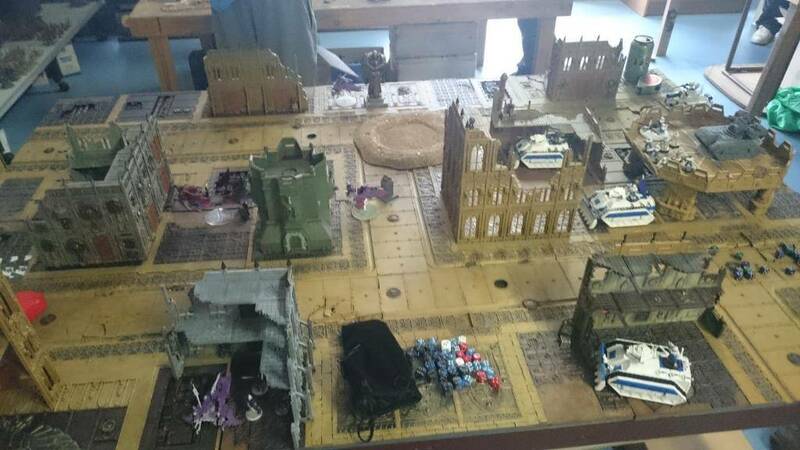 The kabalites and a venom powered up to try and take the objective that the transport was sitting on. The ravager sent 3 bolts of dark light into the transport, wrecking it and the venom turbo boosted right up against the objective. The haemonculus failed a 5" charge. And fleet allowed him to re-roll his 3, into another 3. It is uncertain from anyone on the table whether it was the return volley of lasguns that killed the haemonculus, or if it was the Archon that murdered him. In any case, the twisted mutilator of men died. Mr. Plow rammed the command boat and did nothing, the leman russ obliterated the objective contesting venom and everything else smooshed the kabalites inside. Day began to rise and both parties had run out of time and so packed up their things and went home. The main game ruiners for me were in turn 2 where the heat lances failed to kill the tank and the trueborn needed to waste 5 shots killing the tank that could be better used to blow up the transport. Then in the same turn, the haywire blasters failing to kill the transport. Too much fire wasted. Then in the following turn, the Haemy failing his charge. But, them's the breaks. I would have liked to have my 4th turn though... oh well! Any thoughts or comments welcomed!! Nice write up, Nexs. Sounds like the dice just didn't go your way as the Scourges and the Blasterborn rolls let you down. You'll get em' next time. Yeah that's the trouble with the small units of big hitters, if the dice are off, it hurts! I think you place to much value in your scourges/trueborns killing power. In my experience, you can never expect them to take out three hull points from a single volley. I have literally never had that happen yet, and thus always have to have a spare lance ready to finish off. kabalites or Raiders with blaster work decently for this, and if not, the Ravagers will have to step up. Yeah, i'm seeing more and more value in the single lance shot from raiders now... I'm going to have to pull my raider apart and replace the dissie with a dark lance. that should hopefully resolve the "wasting blasters" issue! 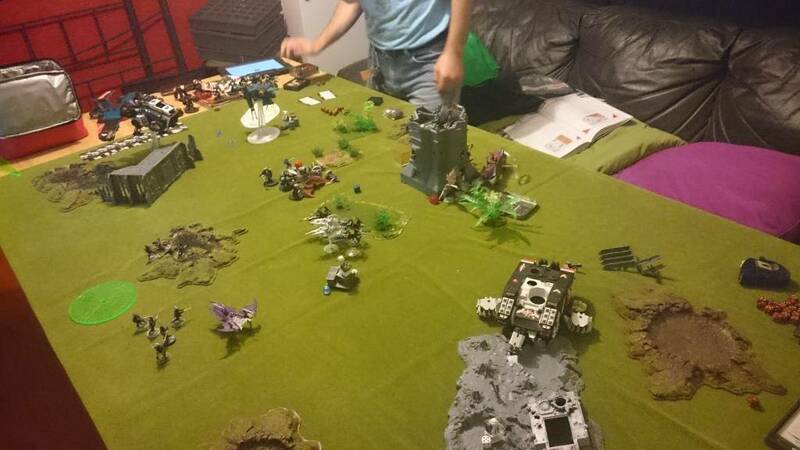 Black Templars vs Dark Eldar. Will edit post shortly. Centurions took flight in the back of the land raider which rolled down the battlefield at full speed. The rest of the black templar army shuffled around to pick up objective markers. Shuffled away from the land raider and unloaded all splinter shots into marine units. Wiped out one unit of marines and grabbed a few tacobj's. Tally was pretty close at this point (it was played friday night, so i don't remember exactly what the score was). My scored objectives are on the left, whereas my opponent's were scored on his ipad. The reserve birds can screaming on the board, taking out a venom and causing everything else to jink. The landraider immobilised itself driving into the ruins and the threat of the centurions became hugely imminent. The far left squad of marines blew the raider into the sky and killed all but 1 bloodbride, the Syren. Labyrinthine Cunning saw all my units hit the battlefield. 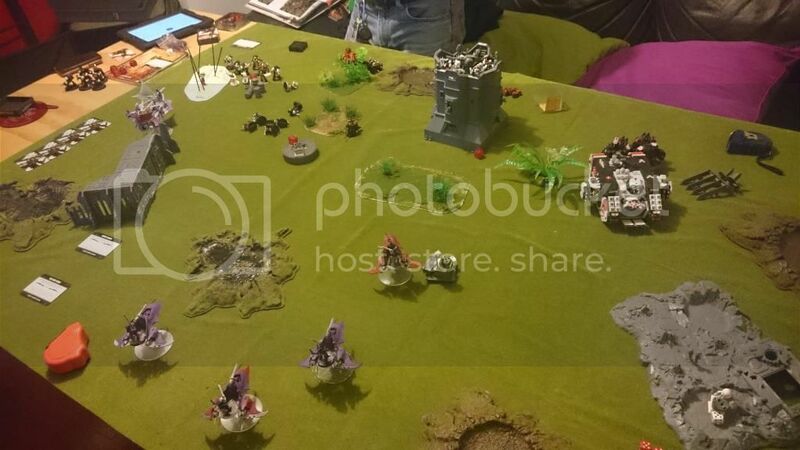 The razorwing took out most of the far left marine squad, including an independent character, the haywire blasters and raider's lance wrecked the land raider while the archon and blasterborn assisted in taking out a centurion. The heat lances dropped and shot wildly into the air. 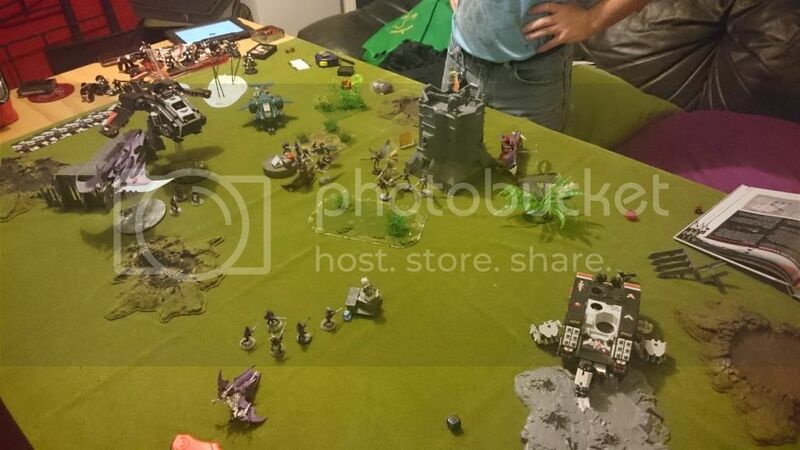 The terminators dropped from the big bird and destroyed the scourges and hemonculus, the centurions failed a charge and the big bird wiped the unit of hellions clean off the face of the planet. Hellbrecht and a unit of marines charged the command boat, and wrecked it. A successful turn for the BT, except only one objective was scored. The game was made in this turn as the combination of razorwing and blaster fire belittled the unit of marines with hellbrecht and the archon figured it'd be better to charge in, than let him get the charge. The Dracon put her life down to allow the archon to clear the unit of marines. A won combat, but the BT held firm. 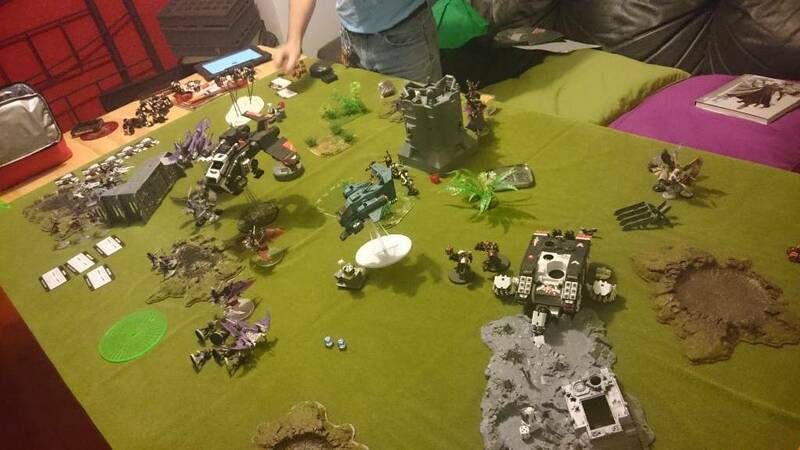 In the chaos, the dark eldar scored many objectives, one of which was a D3 (rolled a 5!). DE ahead by a good margin. Terminators charged a venom and wrecked it! Centurions failed another charge and the birds flew around to harass my stranded units. The archon peeled a wound off the 4 wound hellbrecht and saved all blows back at him. Combination of splinter and haywire fire took out one centurion, then the Reavers took out the last centurion with their hammer of wrath attacks. The archon whiffed his attacks while the blasterborn snuck another wound onto Hellbrecht. More blown up venoms! The termies charged the kabalites and lost one to overwatch! (man of the match!) The following combat saw the kabalites sneak another wound in (very poor rolling for the terminators!) and 2 kabalites died, they held. The archon put another wound on hellbrecht, and the archon lost his invuln save, and a wound. The haywire blasters took the skyfire objective and took out the small bird (stormraven or storm talon... can't remember which is which). The reavers charged in and took care of the remaining terminators, protecting the kabalites from inevitable crushing death. The archon whiffed his final flurry of attacks and got a sword in the face for his troubles(the haemonculi of commorragh will have their work cut out for them, putting the archon back together!) but in return, the blasterborn took the last wound from chapter master hellbrecht. Effectively, the game ended here. but we played out a last turn where literally nothing happened. It was a good game. The terminators had bad dice, but the rest of his army has some good dice at times. It was even rolling all around, however the sheer number of attacks the DE had to put out was overwhelming. I got a good turn (turn 3) for objectives, which put me well ahead, but even without the objectives, it was a fun and bloody battle!